To keep your mouth healthy, it’s recommended that you swap out your toothbrush for a new one every three to four months. By the time a person turns 30, they’ll have “binned” well over 100 toothbrushes! And though most people simply toss their old toothbrush in the trash and never think of it again, there are a few uses that old bristles are perfect for. Don’t believe us? 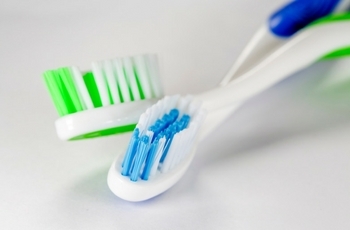 Reinvent your old toothbrush as one of the following instead of tossing it next time. 1. Let your jewelry shine. With the proper solution, cleaning rings, necklaces and bracelets with a soft toothbrush can help reinvent their lost sparkle. 2. Something new to clean. Due to their small size, the head of a toothbrush is perfect for reaching cracks and crevices in the bathroom or kitchen and scrubbing built up grout between tiles. 3. Computer crumbs be gone. With most of us on a computer each day, it’s no surprise that our keyboards can become riddled with food crumbs or debris. A toothbrush is the perfect size for getting under keys and cleaning the area. 4. Paint the night away. While it’s not an ideal tool to craft a painting as popular as Picasso’s, a toothbrush can be the perfect tool for adding texture to your next art project. Just as you get a new toothbrush to help maintain your oral health, remember to book your next checkup and clean with us by calling today.